Home » COMIC BOOKS » The Unknown Anti-War Comics revives old stories with messages of peace. The Unknown Anti-War Comics revives old stories with messages of peace. Nearly four decades later, Never Again was a rare two-issue anti-war comic book with a host – a WWI doughboy referred to as The Unknown Soldier – who told gripping war stories with a strong anti-war stance. The comics from Never Again and other arcane historical comic book sources are carefully restored and showcased in an important new 224-page book published by IDW, The Unknown Anti-War Comics. An action-oriented medium, comics have long used wars – real and fictional – as narrative fodder, often with a strong message attached. Buried in the comics published during the Cold War were powerful combat, fantasy, and sci-fi stories that strongly condemned war and nuclear weapons, boldly calling for peace. The Unknown Anti-War Comics features the art of Steve Ditko and leads off with two noteworthy introductions. The first introduction is a comic story created especially for the collection by Nate Powell, artist of the National Book Award-Winning March books about Civil Rights leader John Lewis. The second introduction is by Noel Paul Stookey, activist and singer/songwriter of Peter, Paul, and Mary fame. It’s also edited by Craig Yoe, multiple Eisner Award winner, Mobius winner, and recipient of the Gold Medal from the Society of Illustrators. 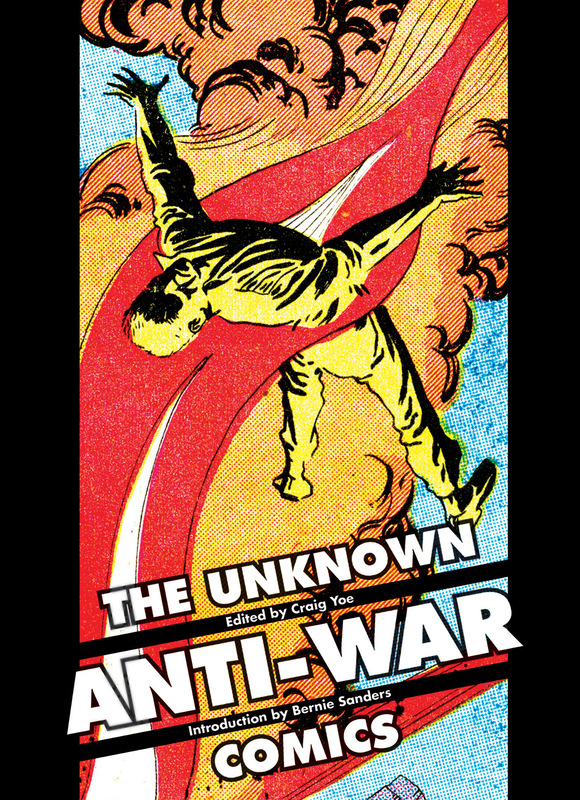 The Unknown Anti-War Comics is planned, published by IDW, for wide release in stores everywhere, this January. Hopping across worlds, dedicated in seeking interesting creative science fiction and fantasy arts in all forms, reporting back at StrangerWorlds.com.